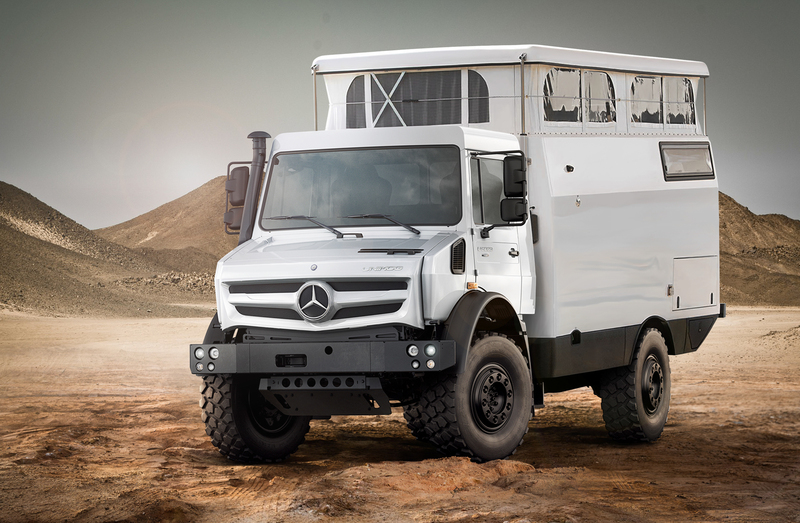 If you’ve ever looked into overland vehicles, you’ll almost certainly know of Earth Cruiser. 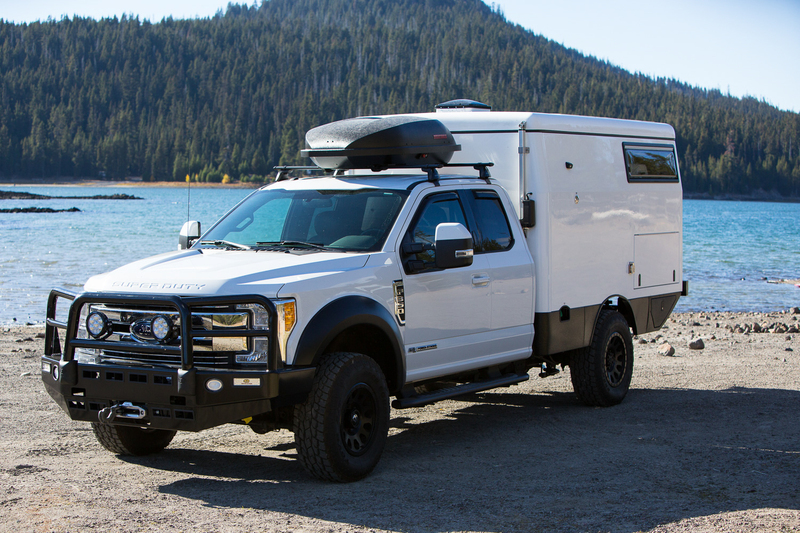 This Oregon-based company builds expedition-grade trucks specifically designed to address the needs of international travelers. 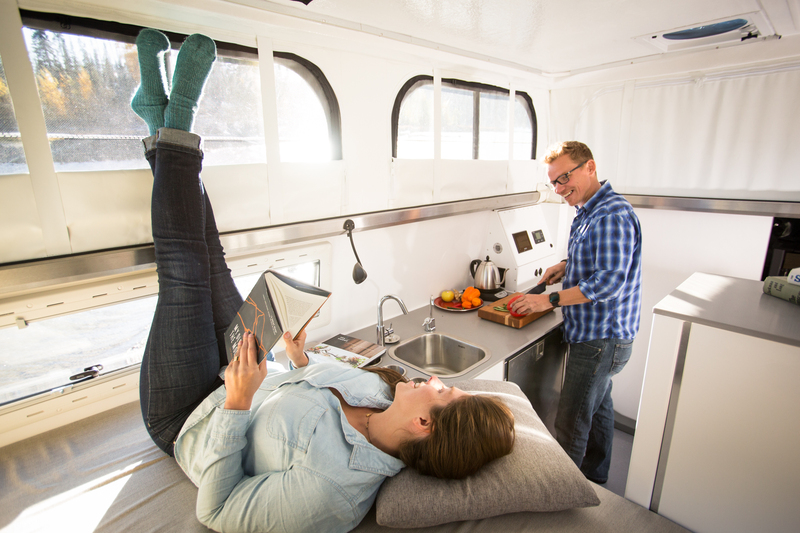 They’re rated for four-season camping, capable of tackling remote terrain, and provide a rather large living space while still fitting inside a container for shipping. Unfortunately, this wonderful package was only offered on the Fuso chassis, which didn’t fit the needs of customers who wanted more power, more payload, and more towing capacity. 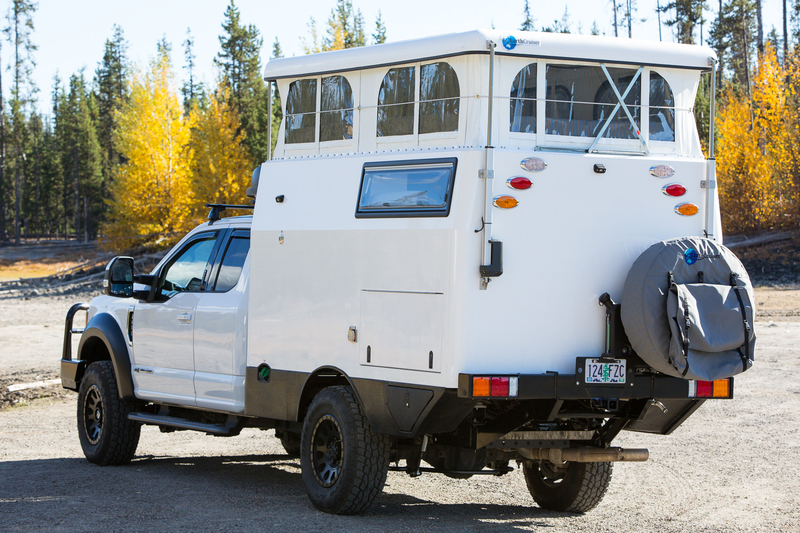 So last year Earth Cruiser unveiled their EXD, a camper designed to deliver all of those things on a four-wheel drive, one-ton truck chassis. 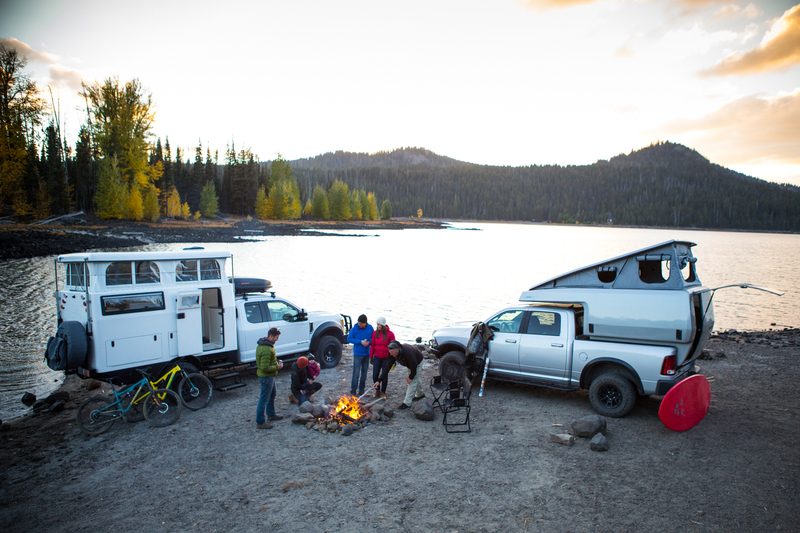 The EXD is a molded composite camper designed for heavy use and abuse in all types of weather and terrain. It carries over many of the great features from the proven EXP boxes you’d find on the back of their Fuso trucks, but it is shortened to accommodate a wider range of vehicle applications. 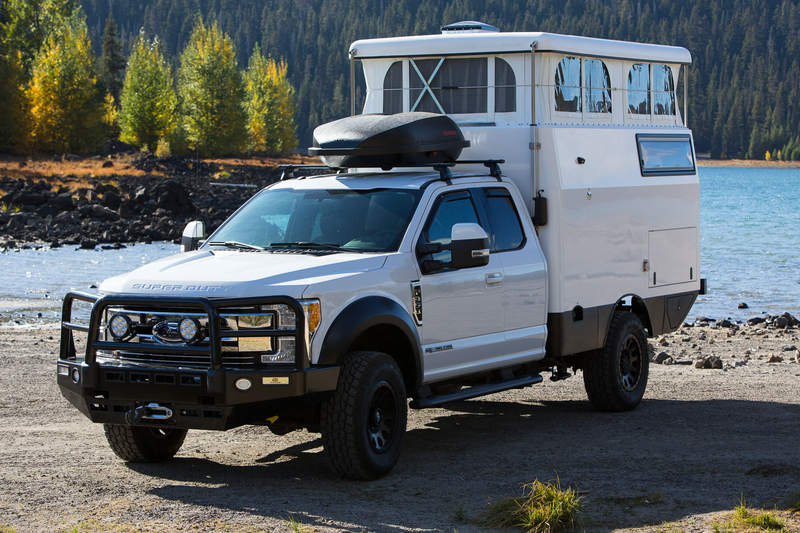 You can pair it to a Ford F-Series truck like the one shown here, or if you prefer a Ram, Chevy, or even Unimog it can bolt right on. Of course, there are certain advantages to choosing domestic platforms. 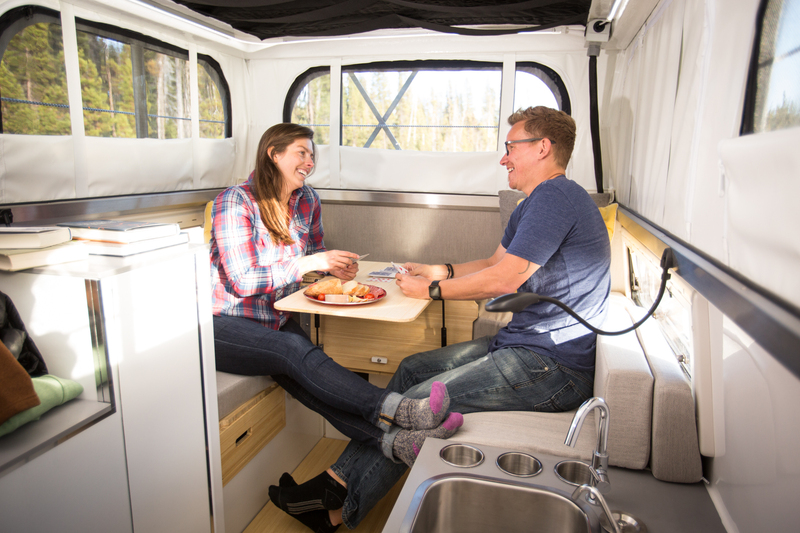 For example, if you choose a 2017-plus domestic truck, Earth Cruiser will create a pass-through to the cab enabling you to move between the vehicle and camper without having to step outside. That’s nice to have when the weather is rotten, or you need to make a quick getaway when a bear starts sniffing around your camp. 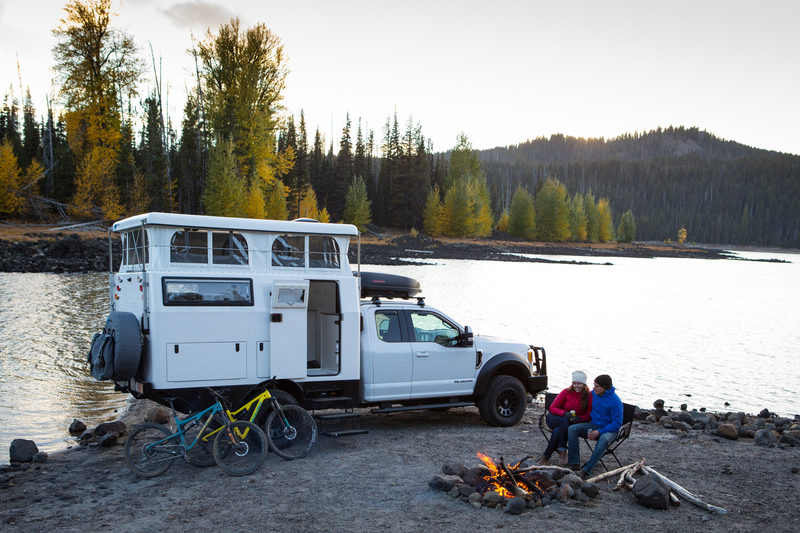 You can also add their custom sub-frame with Earth Cruiser’s patented kinetic mounting system, and that will make a big difference for extended off-road travel. 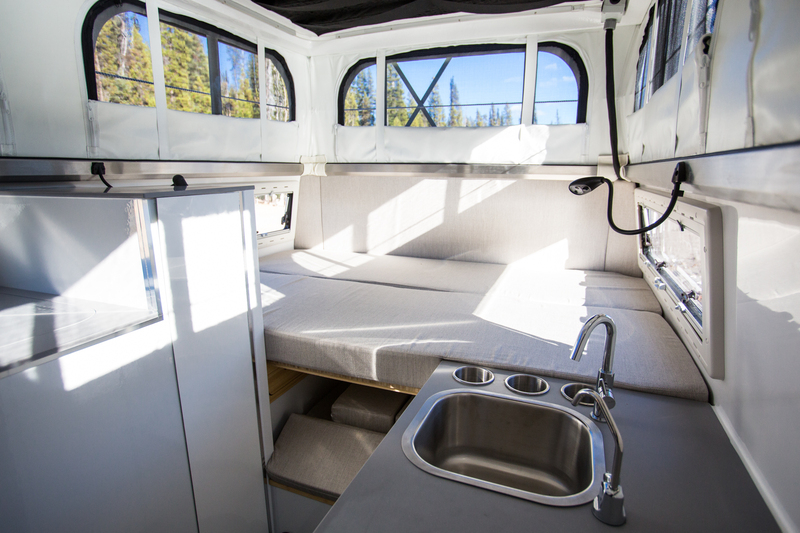 Inside you’ll find all the comforts of home: a fridge to keep your food cold, a heater for warmth on those snowy winter camping trips, a water system with plenty of H2O for extended journeys, and a shower to rinse off the scent of adventure. 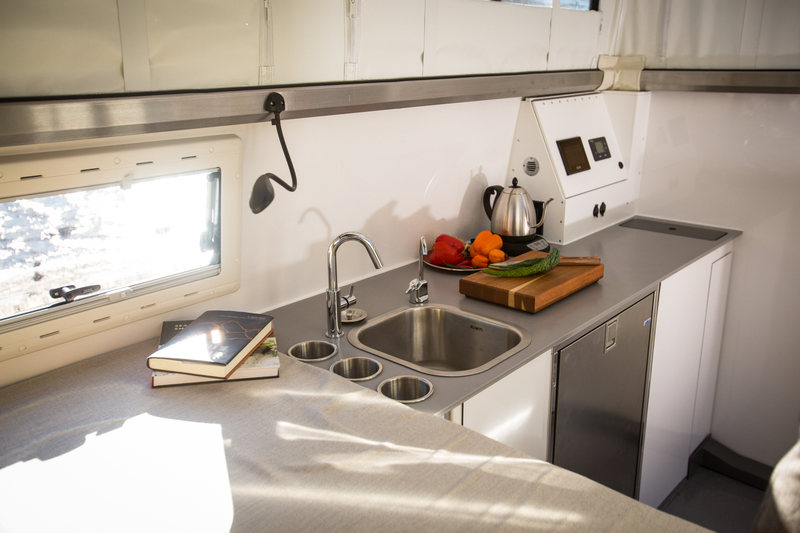 There’s a kitchen with enough room for easy meal prep, a fluffy bed to stretch out on, a toilet, a lounge space, and a host of other niceties to help you live your life anywhere you choose to roam. Yet an Earth Cruiser isn’t about the features and comforts. 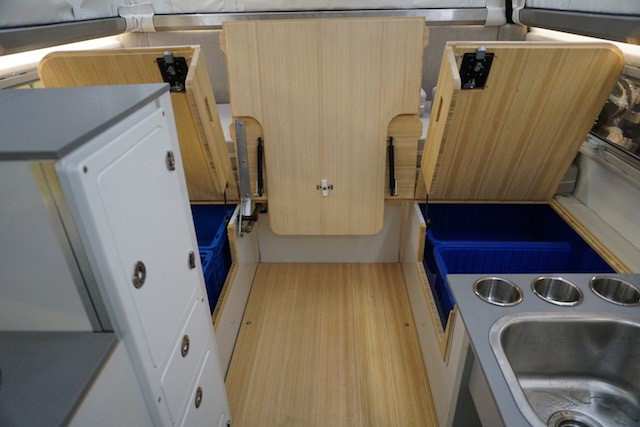 While it IS comfortable, you’ll notice the interior is clean and simple with a minimalist design. It’s not covered in fancy woods or double-stitched leather, and it doesn’t need to be. What makes these vehicles special is the way they’re built. It’s the personal experience integrated into the design, the high-quality materials used, and the focus on durability and capability from the concept’s inception. 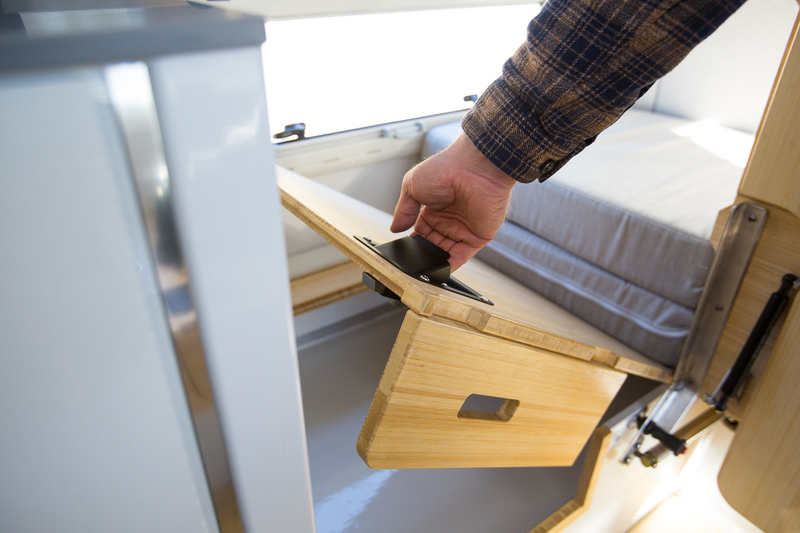 The EXD isn’t just a square box glued together and stuck on the back of a vehicle. 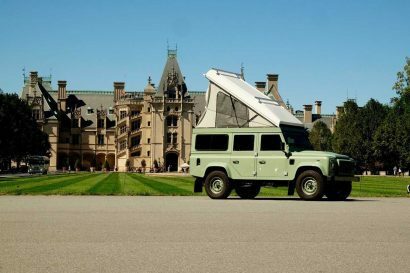 It is specially designed to meet the requirements of overland travel, and that involves more planning than most people realize. The box is shaped to fit within the body lines of a full-size truck on tight trails, which prevents it from contacting any trees or obstacles that could cause damage. 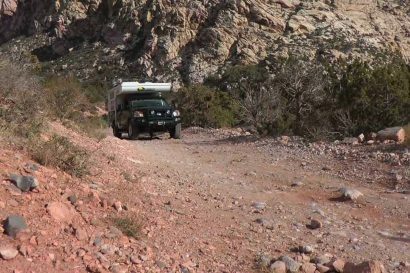 It is high enough to clear obstacles on technical terrain, strong enough to endure the strain of long-term, off-road use, and short enough to still fit inside a container. They are produced using a carefully refined lament schedule, which uses just the right mixture of composite materials, resins, and weaves of matting in precise locations for maximum rigidity and weight savings. You’ll find this level of forethought throughout the interior and exterior of the vehicle. The water tanks are inside to prevent freezing in subzero conditions, the shower is integrated into the entryway so the mud and grit from shoes and pets can be easily washed out, and the solar panels are shatterproof and recessed into the roof to keep overall height low while preventing them from snagging on overhead branches. 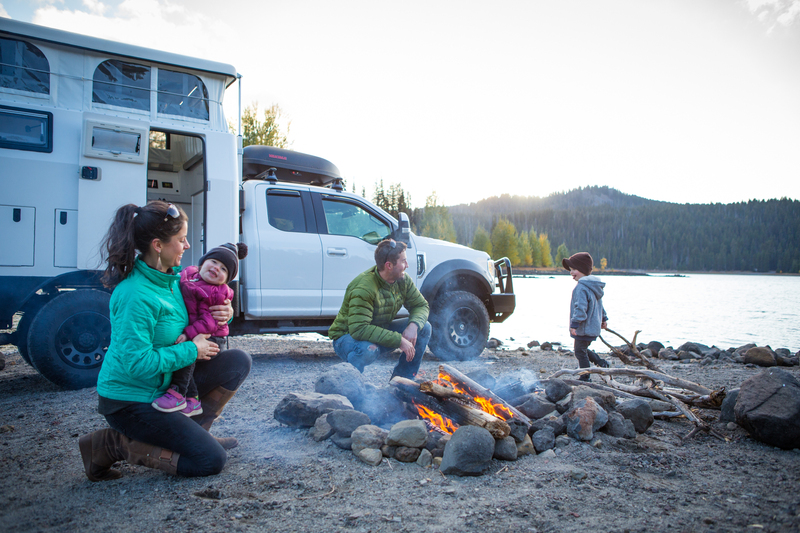 Every element is designed to maximize function while minimizing complexity, and that results in an easy-to-use truck you can trust to get you there and back again. Despite its approach to eliminating fluff features, the Earth Cruiser EXD box has plenty of comforts and conveniences to enhance your journey. Here are a few key points that come standard on the vehicle, as well as some options you can tack on. 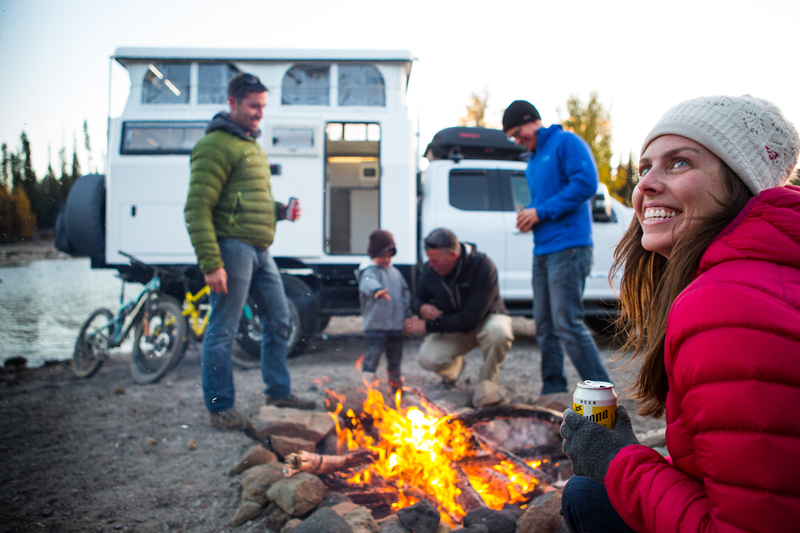 The most important option, which we don’t think should even be considered an option, is the Expedition package. 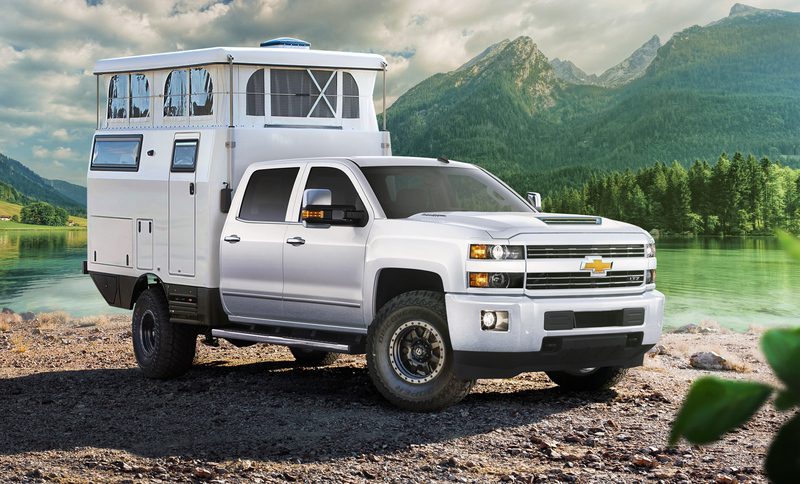 This includes body side skirts, rear wheel arch flares, tool boxes, and Earth Cruiser’s rear expedition rack with MaxTrax and a shovel holder. Most importantly, it also includes that custom sub-frame with Earth Cruiser’s patented kinetic mounting system we mentioned earlier. So you’ve fallen in love with the Earth Cruiser, and now you want to know what it costs, right? Well, that depends. The EXD can be purchased in two ways. The first option is as a separate unit where you provide the truck, and they provide the EXD box. That will cost you roughly $110,000 as a flatbed package, or $125,000 as the expedition package with a custom subframe and kinetic mounts. 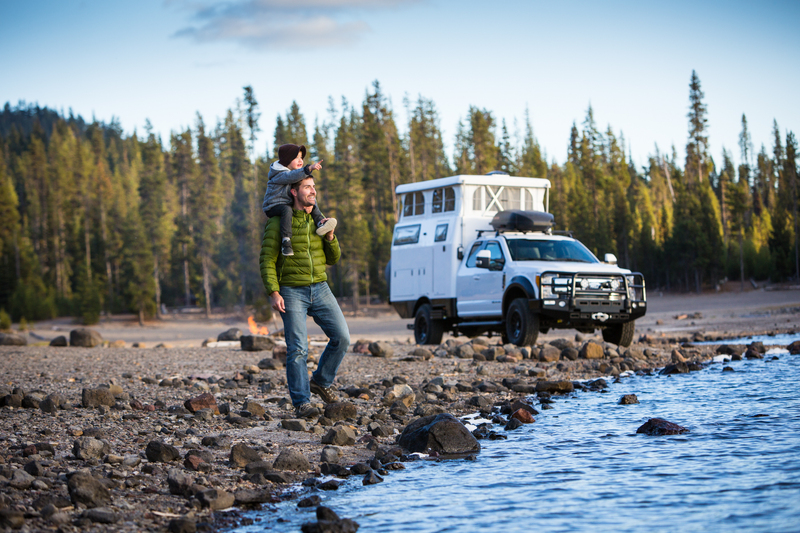 Remember, the expedition package is only available on 2017/on Ford F350, 2018/on RAM 3500, and 2017/on Chevy Silverado 3500. 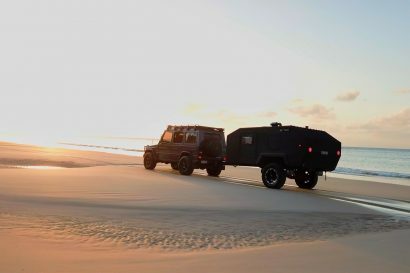 The second option for purchase is as a turnkey package, which allows customers to place an order for a completed vehicle with a single bundled price instead of buying a truck and then bringing it to Earth Cruiser to be equipped with an EXD. 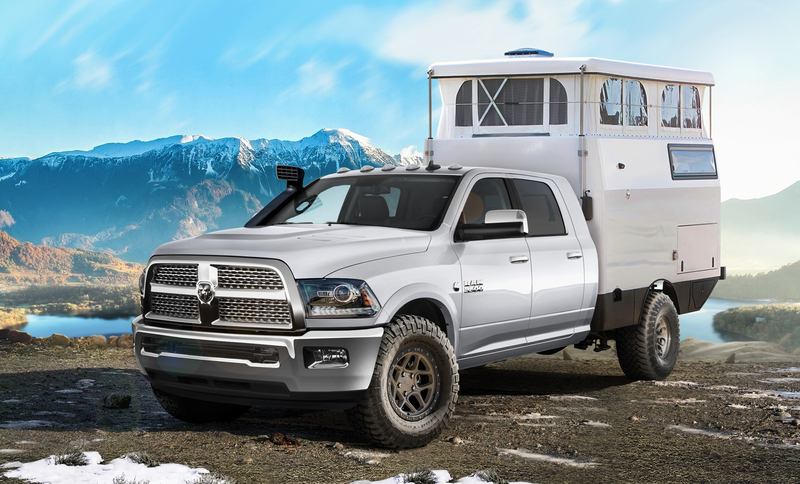 This is only offered on Ford and RAM trucks. Pricing for this package will vary widely based on what trim and options you choose for the vehicle, but it can be calculated by adding the cost of the truck you want to those previously mentioned prices above. Regardless of what package you decide on, it will not be cheap, so it’s a good thing Earth Cruisers are listed in NADA value guides. That means you can secure financing for them through local credit unions and banks, which brings them into the realm of affordability for a far greater number of buyers. 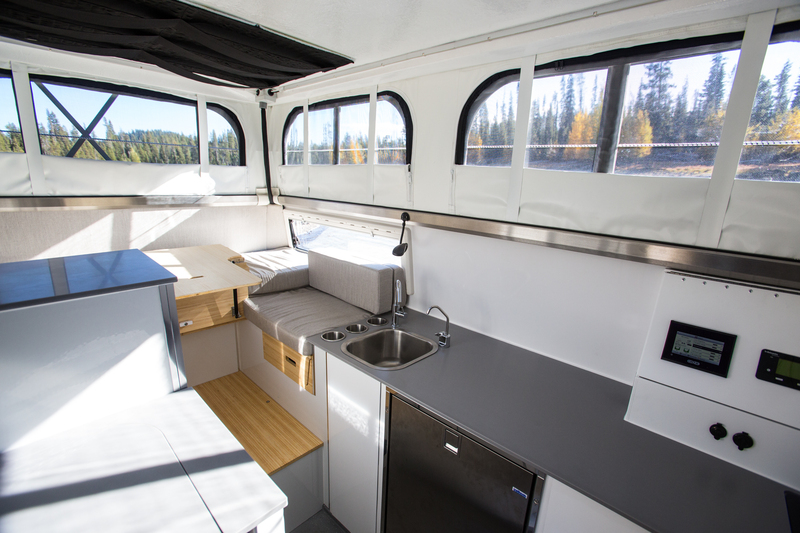 So if you’re looking for a more comfortable way to get off the grid, in a vehicle that is designed to take the abuse of worldwide travel, we’d recommend taking a look at the Earth Cruiser EXD. 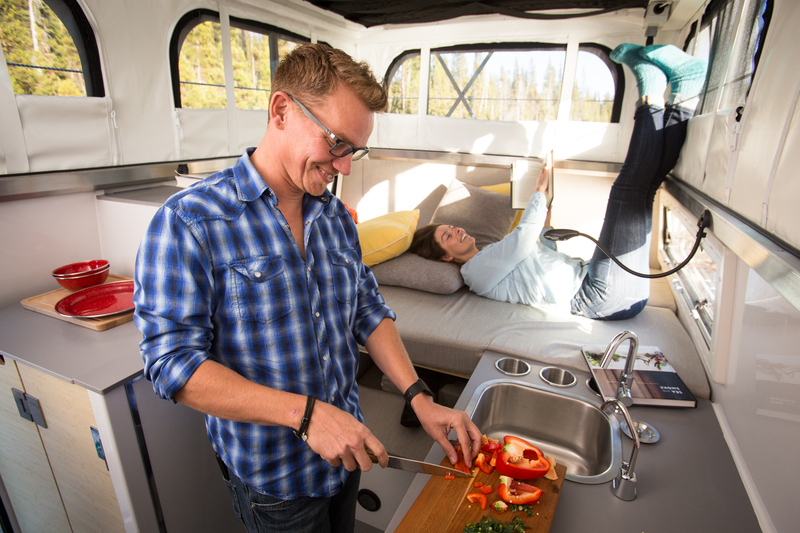 Check one out in Bend, Oregon, compare it to other campers on the market, and most importantly, according to Earth Cruiser’s founder, talk to current and former owners. To learn more about Earth Cruiser, the EXD, or any of their other campers check out their website here.